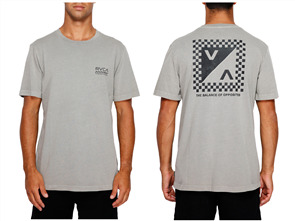 rvca check mate short sleeve tee, overcast $54.99 NZD Or 6 payments from $9.17 Or 4 payments from $13.75 Pre order now. 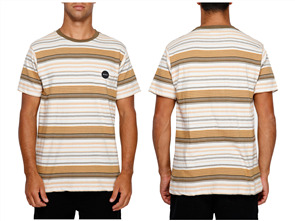 rvca deadbeat stripe short sleeve tee, apricot $59.99 NZD Or 6 payments from $10.00 Or 4 payments from $15.00 Pre order now. 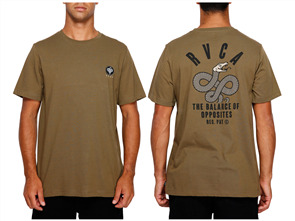 rvca serpent short sleeve tee, cadet green $54.99 NZD Or 6 payments from $9.17 Or 4 payments from $13.75 Pre order now.